The following was sent to SDC by Mick B. He is a loyal reader of SDC and he offers his thoughts on a few dance festivals in Australia, and Southeast Asia – and on the dance scene in Sydney. his is the 2017 update of my thoughts on some of the major salsa festivals in Australia and south-east Asia, with a quick guide to Sydney for visiting salsa dancers outside the scene. As a keen but ordinary salsa dancer (with limited ability to absorb anything from group classes) I choose only the events which provide dedicated social-salsa rooms. Obviously they are important parts of such gatherings but not everything. Others have a broader view and are interested in the workshops, competitions and shows. For those of us who gather mostly to socially dance salsa at night, you are my target audience, and my dance partners. I emphasise that the views are my own. My bias is obvious and I look forward to other people’s perspective. Colada Colors of Latin Dance, June, Bangkok 2017 – a newcomer with huge production values. Bangkok’s Shangri-la Hotel was the 5-star venue and into the Grand Ballroom went 700 dancers from 35 different countries for a dazzling array of performances by big names from all over the globe across four nights. The same names taught during the day. You know them, Adolfo, Terry, Griselle, Super Mario and many more. By 10:00 pm the shows were dusted and three rooms split, kizomba and bachata in other spaces while the big ballroom remained as the salsa empire. It took time to remove the chairs which killed the mood a little, but it had to happen and full marks for the separate rooms which is the gold standard these days. To fly the 14 piece salsa band La Maxima 79 from Europe and have them play three concerts must be commended but with Jimmy Bosch as guest leader, dance wise, it was a super-fast bunch of good musicians revving it up. It was about the players, not the dancers. Having said that, a world-wide selection of DJs spun the tunes late into the nights and there was no shortage of salsa dancing. Bucket loads! And the dance quality was really good with the usual cheery range of beginners to pros. Hats off to Super Mario and Terry who were the two big names who consistently made an effort to dance with the guests. Some didn’t. It’s on again in June 2018 with two nights featuring the famous salsa band Tromboranga, and while some might find it pricey, the value is there to see. Salsa Bangkok Fiesta 2017 was an absolute joy for social-salsa dancers, and my second attendance. Set in downtown Sukhumvit at the Windsor Suites Hotel, this year the rooms were upsized and while salsa remains the undisputed king in the big one, both bachata and kizomba had their own. Seating was provided for the shows which were not overdone but of good quality. Salsa fanatics from across Asia danced fabulously without a break beyond 2 am on every one of the three nights. Then add before and after parties, many workshops and a brilliant Sunday afternoon pool dance party. As awarded last year, Salsa Bangkok Fiesta wins my 2017 social-salsa dancers’ event of the year and I have rebooked to return in 2018. Sydney’s 2017 Salsa Palladium and Mambo Convention, run by the famous DJ Mambo G, pulled it off again in 2017. 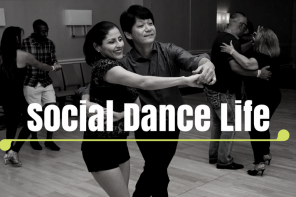 Four social nights, both a salsa band and a mambo band, and with workshops. It was held at the Factory Theatre and Off-Broadway during November. Happily, it was another big success with an enormous effort made by the organiser and very well priced. Putting on two bands is a big financial commitment and needs full acknowledgement. Repeating the same headliners, even Eddie Torres Jr., was probably a mistake. The shows were placed mid-evening too, somewhat disruptive for the dancers. This year was notable for its mambo bent (not surprisingly) and on-1 salsa dancers were a little marginalised. However, overall, it’s a beauty and everyone should go next year. And finally, the Brisbane Latin Festival and World Salsa Solo in early December at the Exhibition Centre on Southbank. The organisers provide a great venue, and it’s super well-organised. 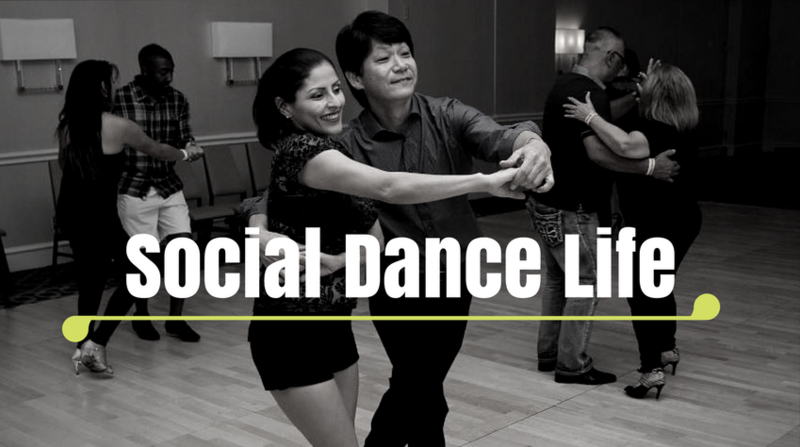 There was four nights of high-quality social dance, with two separate rooms set aside for zouk and bachata. Of course salsa ruled in the main space. The salsa dancing was of a high standard at the top-end as many of the competitors can actually dance socially as well as perform so ably on stage. The event delivers something for all. It provides the separate social dance rooms, interesting dance competitions, and superstars like Adolfo and Griselle with good workshops. This was my fourth visit, and while I haven’t done all the salsa events, if it’s not the best in Australia currently, I’ll learn to dance zouk. And despite the organisers’ growing family, we are promised more next year, so go! And the Sydney social-salsa dance scene? For anyone visiting the Emerald City there is a beaut web-site called the Sydney Salsa Scene, so put it in your search engine. A daily calendar will give you a rundown. As a visitor, the good news is that public transport works pretty well, and taxis are plentiful. There are many set nights each week and a number of monthly pop-ups at the weekend. A few details for on-1 and on-2 linear salsa dancers might help (some will disagree). The same site gives casino (Cuban salsa) venues too. Mambo G Mondays at the Off-Broadway Hotel in Glebe is the number-one dance venue for on-1 and on-2 dancers. It’s super reliable and very friendly (with the odd ‘sniffy’on-2 dancer looking down her nose at anything else). Highly recommended and $10 at the door. Salsa at the Argyle on Wednesdays packs the large venue and is free. The music style varies and there are times when timba takes over and salsa is set aside. There are many casino (Cuban salsa) dancers here, so it’s not surprising. The floor is very crowded and the mix of linear and circular styles creates some discomfort. There is a bachata/kizomba room. Mambo G’s Monthly Saturday Pop-up extends Mondays by adding an extra floor and it pulls 200 dancers without effort. It’s highly recommended (in the same venue at Glebe). The monthly Salsamania on Saturdays draws the same linear salsa crowd, it’s well-run and there is a decent dance floor at the Pitt Street city venue. Likewise recommended and it probably should be better supported. Another monthly Saturday event is Latin Junction in Rosebery which for the visitor is a longish walk from the train station or a short taxi trip. This is a super-friendly studio and there are two rooms, 100% salsa and bachata. The dancers tend to be beginners plus, but everybody is very welcome. It is certainly recommended. Another of the casual studio Saturday monthlies, Mambo Underground is as the name suggests aimed at on-2 dancers but I have been to many of them and only rarely have I been refused a dance. They are nice people, and provide a good dance standard. Mambologica is more formal, less regular but just as cheery and run by the same folk. Next year I am adding the Vietnam Latin Festival in Hanoi to my travels, and I’ll at least repeat all the others that I have mentioned. I just have to live long enough and budget carefully. Cheers! Do you have any thoughts on the Sydney Latin festival? A note regarding Mambologica. Mambo Underground is the monthly studio event, run by the same charming bunch of mambo crazies, that I meant to name. Mambologica is the more formal event, less regular, from the same studio, and of course is similarly good. 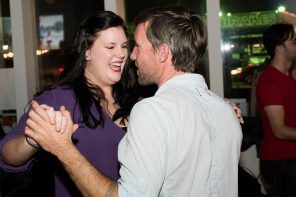 In reply to Anon, as mentioned early in the piece, I only go to events with dedicated social-salsa rooms. The Sydney Latin Festival is an excellent latin-dance event which is highly recommended (I have been to four of them) featuring live bands, big names and with shows and workshops galore. Bachata and salsa are played in the same room. This year it has changed its location to Parramatta, I think it’s in June. Jaime is very excited about the new venue which sounds terrific. They have oodles of packages to suit all. I am sure that you will have a great time. An update! If you needed an added excuse to fly to Salsa Bangkok Fiesta in November 2018, an event extra this year (and for the first time) is the Salsa Bangkok Asia Pacific International Dance Championships, an open salsa and bachata dance competition affiliated with World Salsa Summit, the dance competition held yearly in Miami. I’ll happily cheer you on, if you dance social-salsa with me later! An update for Sydney salsa lovers and visiting dancers – another monthly salsa pop-up has been announced but on a Friday night for a change! Well-known and well-respected DJ El Padrino, who owns an amazing collection of old-school salsa, has created Salsa Brava in Five Dock. Give it a try and I will look forward to any reviews. Previous events by El Padrino get a thumbs-up, and this time he apparently concentres on what he does best, salsa. An update on the Vietnam International Latin Festival in Hanoi last weekend. Slick, professional and a must-do for salsa diehards. A 100% salsa room danced on a great floor in an excellent venue until 2:30 am on each of three nights. I guess at 250 social salsa dancers each night with all standards catered for but many excellent and super fun dancers. A very friendly crowd and charming organisers. Add a pre-party, good shows, many workshops and a bachata/kiz/zouk room and you get the full picture. It happens again in Hanoi in 2019 with Adolfo headlining. Do it. An update. COLADA (now stamped as The Original) congress, just finished in Bangkok, was a big success with 1100 dancers from 42 countries. Next year it is already planning an extra Cuban (casino) salsa room, in addition to the three other rooms. Salsa dancers, please consider this is an excellent investment. A full review at year’s end. But don’t forget, coming up in November is Salsa Bangkok Fiesta – if you socially dance salsa, get your shoes out and buy the tickets. See you there?